Looknow.ca offers variety of useful tools which have been designed to allow you to efficiently manage and grow your website. 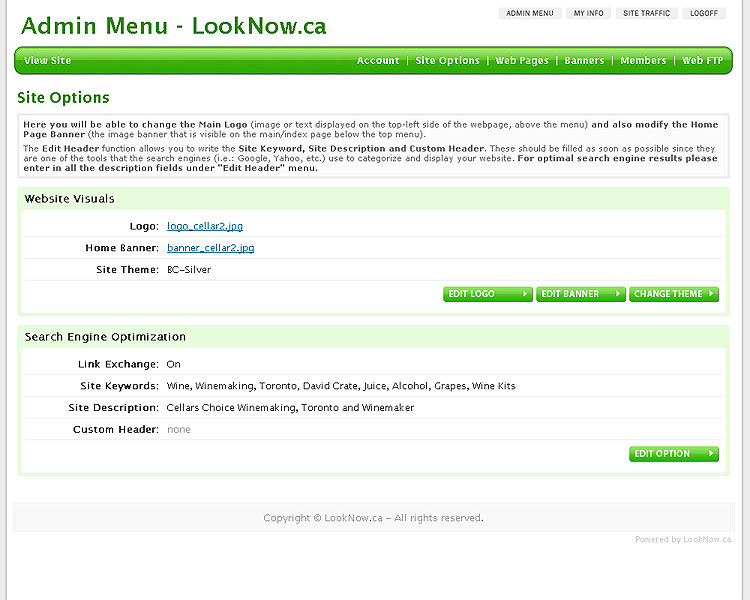 Below are some of key Looknow.ca product features. Wysiwyg (What You See Is What You Get) editor is a popular and versatile web page editor. Wysiwyg allows you to update your website content without using HTML. The interface is very similar to popular word programs and is a web based application which requires no installation to use. 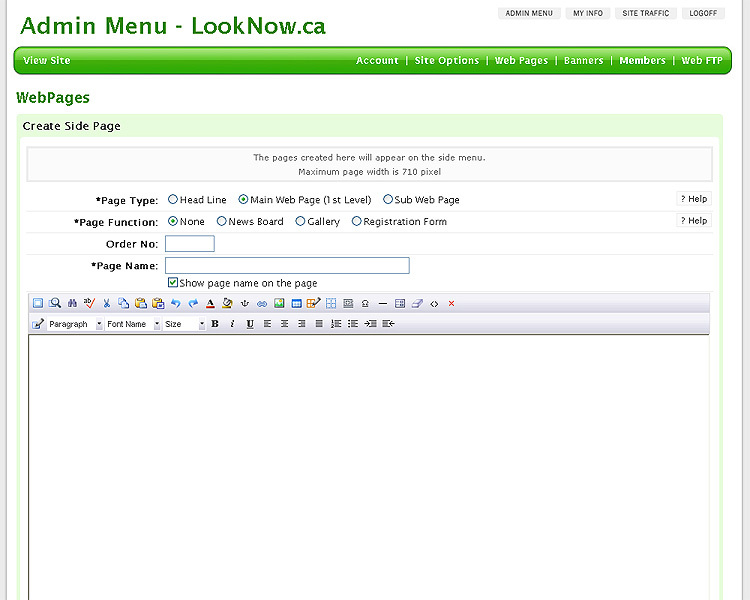 From site option menu, you’ll be able to quickly add your logo, home page banner, select website theme template. You’ll also find search engine optimization tools which allow you to enter website descriptions and key words as well. 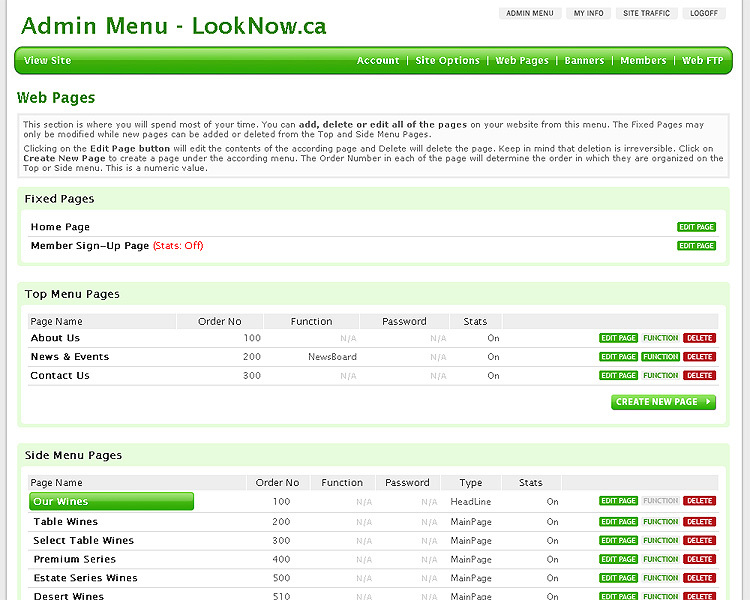 You can easily create top and side menu pages from this section. 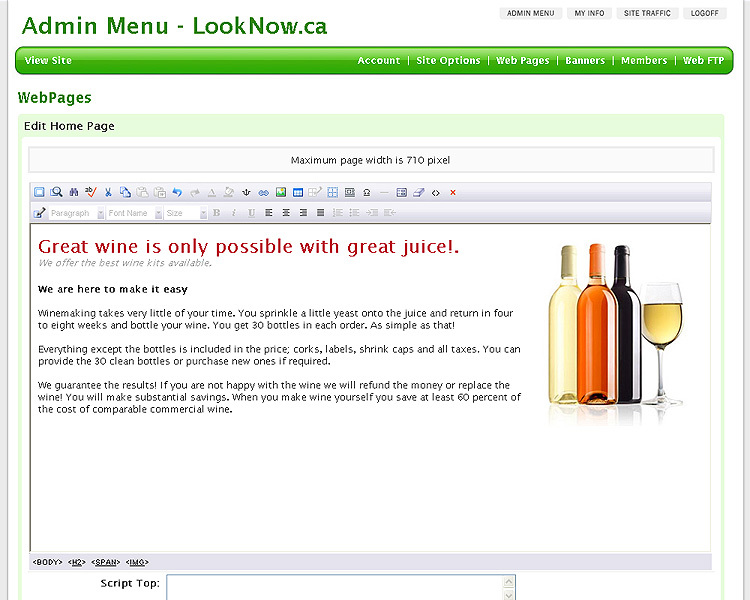 Created web pages are listed in the order in which they appear on your website so you can easily locate and edit them. Create New Page feature allows you to select the type of web page you wish to create and add contents for that page using simple tools. You can select content page, news boards, gallery page and even create registrations forms all without using any HTML codes. You can insert external scripts such as Youtube videos and limit access to any pages you create by assigning password as well. 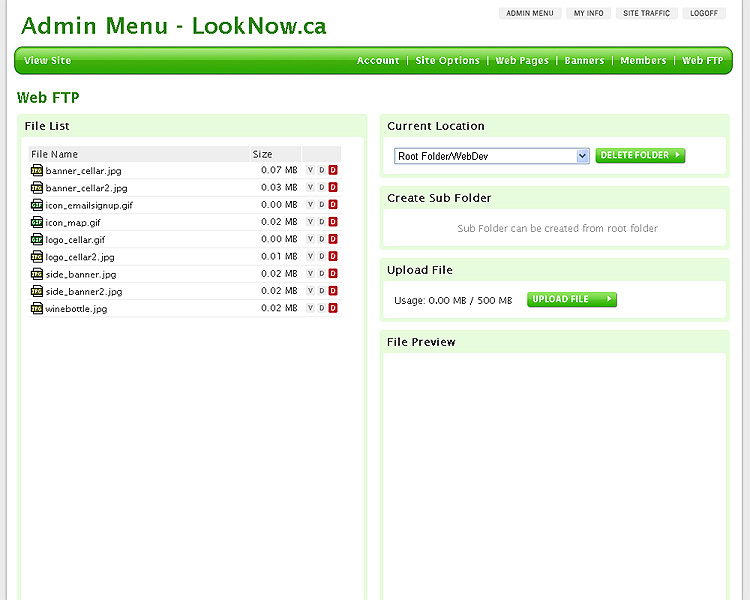 Managing your website files and data has is easy using Looknow.ca Web FTP. You can select and upload individual items or select multiple upload option to quickly upload many items to your data storage. You can instantly create additional folders and sub folders to customize and organize your website data. Copyright ©2019 LookNow.ca - All rights reserved.